Could Contactless Be Around the Corner? There is mounting evidence that the next wave of EMV chip cards to be issued will be dual-interface cards, with both contact and contactless capability. While contactless card volumes were rising around the world, the U.S. market was still laboring in its shift to EMV contact cards. An estimated 750 million of these EMV contact cards are now in consumers’ hands, and more than 50 percent of card transaction volume and nearly 60 percent of card spend involve the use of a chip card at a chip-enabled merchant. Now that consumers are more comfortable with this first level of change, simply tapping, rather than inserting, their payment cards will make the consumer experience even more attractive. Consumers will also like the speed of contactless payment compared to the EMV contact chip. It is not so much the extra seconds that will be shaved off the time to complete the transaction, but more the advantage of being able to pull out a contactless card anytime during the scanning and bagging process, tap it on the contactless-enabled terminal and get the beep or message that it is okay to put the card away. That is a significant improvement over EMV today. The economics of issuer investment in dual-interface cards are never going to be better than right now. The card manufacturers have excess capacity and chip inventories, and are competing on price to maintain market share. The business case for contactless has been proven for issuers in countries like the United Kingdom and Australia, where card use and average transaction values are increasing with contactless and cash spend is going down. With U.S. consumers shifting back to embracing more lucrative credit cards after years of seeing debit card usage rise, the added cost is not as much of a factor anymore. The rise of dual-interface EMV will not be met with the same enthusiasm by retailers, who are still adjusting to EMV contact acceptance and have not yet fully realized the benefit of lower fraud costs. The incremental change of enabling and certifying their terminals for EMV contactless will be far simpler and less disruptive than EMV was, with many large and small retailers ready and waiting for the cards to arrive. Let’s hope it’s a welcome change for everyone involved. It’s devastating that Equifax so severely mishandled the personal information of 143 million consumers. At a time when the U.S. payments industry is making significant investments to protect consumers from stolen card data, criminals are looking for new ways to commit fraud. Unfortunately, this enormous theft of consumer data is only going make it easier for criminals to commit new account fraud and account takeovers. Consumers should be vigilant in using the tools available to protect their personal credit information, including adding security freezes, reviewing all accounts regularly, and turning on alerts and multi-factor authentication whenever possible. Now it is more important than ever for organizations to implement more stringent identity proofing processes for consumers opening new accounts, applying for credit or conducting sensitive transactions. Equally important for organizations serving consumers is the implementation of advanced authentication techniques for consumers accessing existing accounts and for employees and other authorized parties accessing consumer data. The responsibility for preventing fraud lies with the organizations holding consumer information and granting privileges based on that information. Equifax failed at protecting consumer information. Now consumers and other organizations need to protect themselves from Equifax’s failure and ensure that they don’t become the next victims. Beginning in October, the Secure Technology Alliance will offer a six-part webinar series on how to procure and implement a PIV -enabled physical access control systems (PACS) for government facilities. The series, created for systems engineers, facility managers, physical security personnel, and other government facilities’ stakeholders, will launch in October, with future webinars scheduled in 2018. Each webinar will focus on one aspect of implementing PIV-enabled PACS for a government facility. As an introduction to the multi-part series, the first webinar, “How to Plan, Procure and Deploy a PIV-Enabled PACS,” will provide an overview of the PACS landscape, identify the key stakeholders and outline what to know before starting a new project. The first webinar will be held on October 19, 2017 at 2:00 pm ET (11:00 am PT). To register, visit https://attendee.gotowebinar.com/register/5564948691556327682. 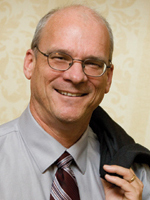 The second webinar will be held Nov. 30; future dates will be announced once they are scheduled. The Forum Petroleum Working Committee also published “Petroleum Industry: EMV FAQs,” to provide a common, consistent understanding of EMV issues in the U.S. retail petroleum industry. Congratulations to Jatin Deshpande of G+D Mobile Security. Jatin was one of hundreds of members who participated in our yearly member survey; names were entered into a drawing to win an Amazon Echo, and Jatin’s entry was selected. Thank you to everyone who provided us with feedback. Have you registered for IoT Payments 2017 yet? There’s still time to register for the conference, which will be held October 10-11, 2017 at the Hyatt Regency Hotel in Austin, Texas. This new event will bring together financial executives, device and application providers and retail industry experts on the evolving intersection of payments and the Internet of Things (IoT). Register early and save! 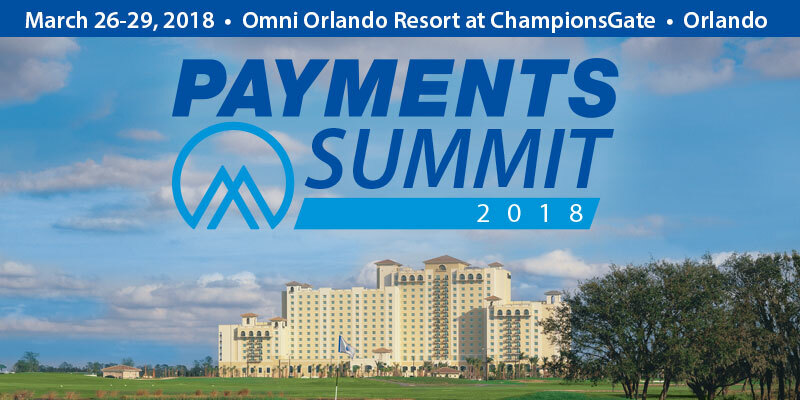 The Payments Summit is the premier industry event covering all things payments, including FinTech, EMV chip technology, mobile wallets, NFC, contactless, open transit systems and more. Making this an even more robust conference, this is the third year that the Alliance and the International Card Manufacturing Association (ICMA) are co-locating events, giving attendees a broader perspective from the core manufacturing and personalization of a card, to the rapid evolution in secure payments. 2018 also brings together membership from the U.S. Payments Forum, resulting in the most comprehensive gathering of card and payments professionals than ever before.